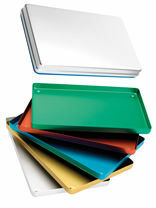 A wide range of autoclave sundries, accessories and instrument trays. 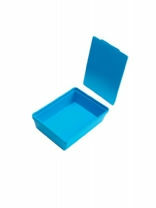 Blue plastic tray with lid comes in 2 sizes and is very lightweight and easy to carry. 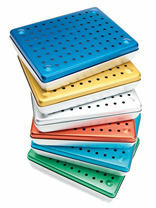 Instrument racks (16 and 10) for Aluminium Perforated/Solid trays. Suitable for vacuum and non-vacuum autoclaves. Half size - 18cm x 14cm. The instrument holder to fit the half tray holds 10 instruments. Half size - 18cm x 14cm. Instrument Rack holds 10 Instruments. Full size - 28cm x 18cm. 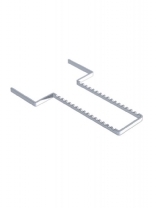 The instrument holder to fit the full tray holds 16 instruments. 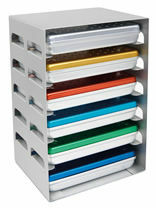 A wide range of instrument trays are available in plastic or aluminium, together with our NEW instrument tray system.